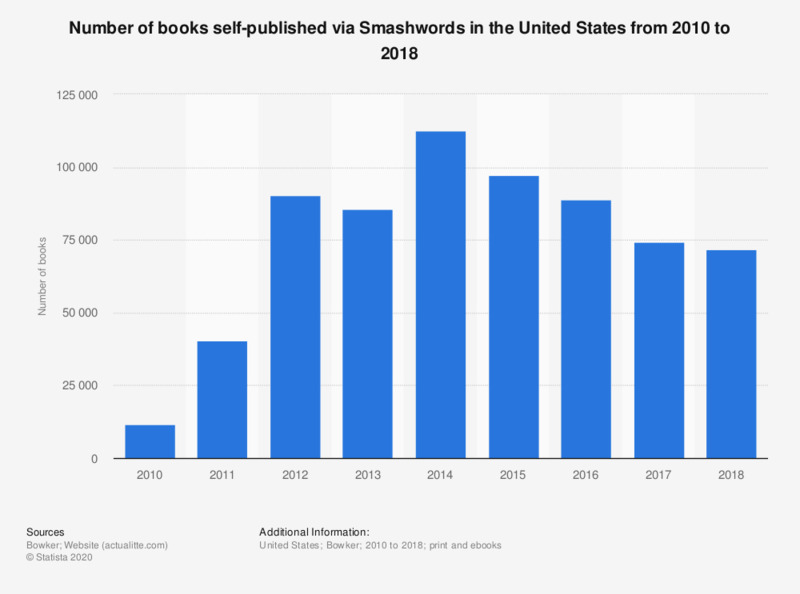 The statistic provides information on the number of books self-published by Smashwords in the United States from 2010 to 2017. Smashwords published a total of 74.3 thousand books in 2017, down from 89 thousand in 2016. * 2014 and 2015 figures provided by Smashwords on 2/27/2016. ** 2016 figure provided by Smashwords on 9/14/2017. *** 2017 figure provided by Smashwords on 9/11/2018.